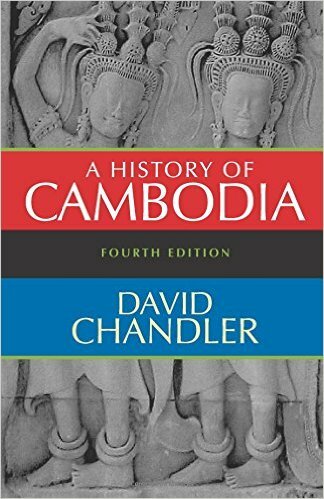 David Chandler is emeritus professor of history at Monash University in Australia, and one of the leading western scholars on Cambodian history. In exploring the Khmer Rouge era your first recommended book is Angkor by Michael Coe. What can Angkor say about later Cambodian history? Angkor is an extraordinary site. I saw it in the early sixties when it was beautifully restored but almost deserted in terms of tourists. I was impressed by the incredible artistic achievement. When I went back next in 1992 I thought- what is this business of an individual king ordering a mile square tomb for himself? There is an element about the temple which is really quite shocking in some ways. People just went off and built this tomb: it took 30 years to complete—all for one man, this wasn’t really for the state, this was no Lincoln Memorial. There are certainly plenty of continuities between Angkor and the next periods. In Angkor you find a tremendous authoritarianism and also a tremendous willingness to go along with what was being offered by those in charge. I won’t say that this was the case with the Khmer Rouge. Angkor was a very co-operative but also a very coercive society, a strange combination for some. The temples weren’t comparable to the cathedrals of Europe, which were built co-operatively and the workers were paid. There was no monetary system in Angkor; the building was done by unpaid, slave labour. 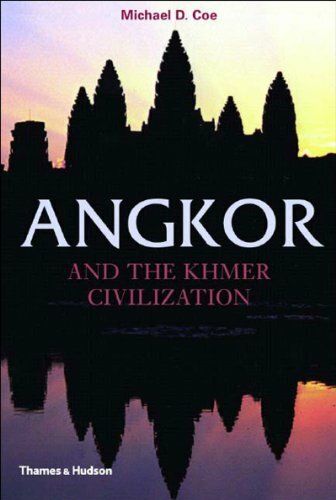 There must be dozens of books on the Angkorian civilisation, why Michael Coe’s book in particular? Michael Coe’s study is a very clear-headed book that summarises a lot of interesting scholarship by other people. He hasn’t done original research. He is an anthropologist who has worked mainly on the Mayas, a somewhat similar civilisation. You can’t read about Cambodia without reading something on Angkor, so this is the best book to read on Angkor. It also happens to be in English, but I think this is still the best book in French or English for an introduction to Angkor. Do you think it exhausted the Khmers to the point that their civilisation collapsed? People always say that. I’m not so sure if I agree. They continued building up to the point when it stopped. Saying that they were exhausted as an institution, I’m not sure if that works. One author says that the supply of stones ran out: that that amount of limestone was simply no longer available, so they just stopped. Angkor does touch on another strand in Cambodian history: these great personalities with visions of social engineering, such as Jayavarman VII, who attempted to transform religion and culture in a disastrous manner and various other megalomaniacs, later including Pol Pot. Pol Pot was not a huge personality. It is just a matter of herding people into a certain way of behaviour. This has happened in Cambodia a fair bit and people go along with it in order to survive. This is true of world history. We tend to personalise what happens, but I don’t think Pol Pot is the personality to pick. He was very anodyne, a nothing character. He and his colleagues got onto something and they were able to mobilise enough of a police force to administer the country for five years, and the three years when he was actually in power. 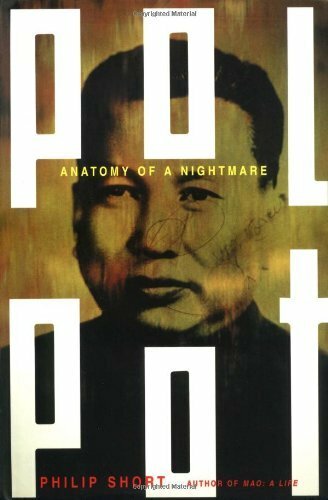 How does Philip Short approach Pol Pot’s personality in his biography, Pol Pot: Anatomy of a Nightmare? This is an interesting book. Short’s account of the French period in Pol Pot’s life is very good. I must say that Short tends to view the whole picture through the lens of French, or Gallicised Khmer intellectuals who were able to give him the kind of narrative he was happy with. I’m not sure if this narrative has led him into the proper places. When he tries to look for causes he starts saying the Cambodians are these dark primitive people, which is not true and is very disdainful. His book is very valuable for sources even though I don’t think his interpretations are that valid in terms of the Khmer. Many writers about the Khmer Rouge, and I’m not criticising individuals, search for intellectual elements that don’t exist. If you go looking for intellectuals in Cambodia you are not going to find them. Intellectuals are one of the things they don’t have. The French don’t really have pub-crawlers; people don’t do certain things in certain cultures. There is no Cambodian Rousseau. In Cambodia it is about power and injustice. The Khmer are very interested in injustice. In the 1970s, enough people were converted into the idea that society was unjust, which it has always been and still is. They would take sides to undo this. That rhetoric worked really well. Pol Pot was in China in the mid sixties and witnessed the early days of the Cultural Revolution. Can you say that Pol Pot was in some sense a child of the Cultural Revolution? He admired it, but he wasn’t told what to do. He was quite a disobedient child in a way. He worked it all out for himself. He wasn’t going to be under Vietnamese influence, he liked what the Chinese had done and the Chinese quite cleverly said: anybody who does their own thing is doing the right thing. It wasn’t a case of following a manual, although he tried to follow a precise manual by making his four year plan, putting everyone in those Maoist clothes, three tons of rice per hectare- all this was borrowed from China. But the Chinese did not control Pol Pot, he did it all himself, and with his circle. The Chinese told him- the revolution hasn’t worked that well in our country, our country is too big, but in your country a real revolution might work, in which case you can get rid of money and everything else that we didn’t abolish; you can be a pilot programme for the rest of the world. I think that’s what happened. They may have got rid of money but the Khmer Rouge were planning to turn Cambodia into a huge rice growing success story. Yes, of course. They were going to do this in the wake of the civil war, with no animals, poor labour; a crippled country and grow hundreds of thousands of tons of rice! They were cuckoo. They were completely crazy but they aimed to build a perfect Autarky. (an entirely self-sufficient economy that does not take part in international trade) T.S Eliot, Stalin and Mussolini all believed in autarky at one stage in the 1920’s. It was a matter of self-sufficiency as opposed to being part of the world community. Autarky is now very trendy, for certain people who dream of getting out of globalisation. In Cambodia, pointing the mid 1970s, the Khmer Rouge thought they could do this. Technologically at that point they could do it, by cutting Cambodia off from the outside world. They wanted to jump off the world for a few years and try and prove themselves in this new way. If Philip Short’s method of exploring Pol Pot is very much a western one, are there any writers who tried to explain Pol Pot from a more Cambodian perspective? I think Cambodia Year Zero, by Francois Ponchaud is a very valid first view of the situation. He is a person who understands and loves Cambodia a lot. He is also a very talented writer. This book was knocked by the Left at the time, who just didn’t like to hear what was happening. Francois was listening to what was unfolding and he knew the country and knew how this could happen. Cambodia was not a culture that was easy to fathom- the mass of the population were unarmed and uneducated; someone turns up with a gun and tells you what to do, so you get on with it. It may not have been that they agreed, but they had no choice, and on it went. Did Ponchaud manage to get into Cambodia at this point? No he couldn’t. He left with the French embassy people in 1975. He listened to the crazy Khmer Rouge radio broadcasts and he talked to the first refugees coming into Thailand in 75-76. It all fitted into something he understood about Cambodia but nobody wanted to listen to him. 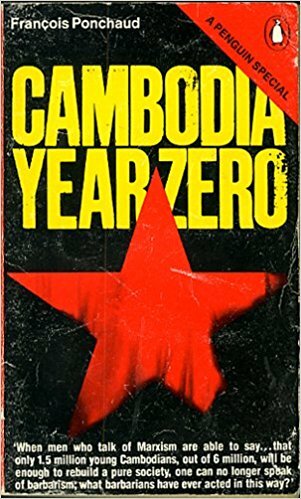 Cambodia Year Zero was published in 1977. It must have been the first book to break the story. Absolutely. Although it was still two years after the events began. There was a lot of context, which is what another of my recommended books Sideshow is about. Everyone in the West was fed up with Indochina and wanted to get out of it after 1975 and didn’t want to pay attention to what was happening. It was too much to handle in the late seventies. Ponchaud came as an annoyance to people who wanted everything to be lovely in Indochina, with the “great new dawn” and all that nonsense. He stated that this was not a new dawn, this was a terrible tyranny and this was not anti-communist propaganda but what he knew about. So people started to become aware of the killing fields around 77? It took awhile. Basically it was 79, when people started pouring out of Cambodia with their own oral accounts, by the ten of thousands. That’s when Chomsky suddenly went quiet. If you were paying attention by 77 most of the people who had been optimistic had changed their mind. Many people assume that the Khmer Rouge fighters were fanatical communists, and certainly atheist. Whereas in fact we know that they were often the amulet wearing, rather traditional country people that you find across South East Asia. They were not doctrinaire. They were told that they were going to be the cutting edge in getting rid of injustice in Cambodia, that they could kill the “haves” and stop being “have-nots” themselves. They were told to stop being Buddhists but frankly young men’s Buddhism is usually pretty fragile anyway. The tattoos and amulets were just protection against what might happen. I don’t see an irony here. Pol Pot and his friends were probably not like that, but they didn’t try to stamp out these traditions. 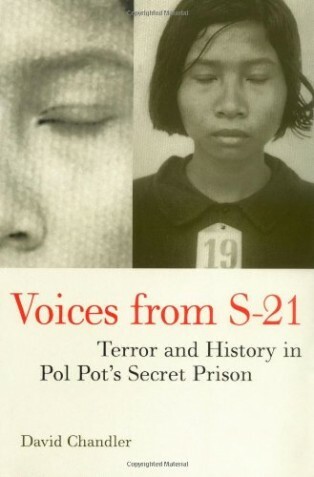 Your book, Voices from S-21, offers an insight into the way the Khmer Rouge operated. Yes, Voices from S-21 is a detailed study of Khmer Rouge psychology, how this regime thought things through, how they viewed the world. You could call it paranoia but that would be a short cut, and how they copied some procedures from China and how they copied the show trials from Russia, and how in so doing they made the most incredible mess of everything. At S 21 they also documented everything, they produced these extremely neat documents, running to hundreds of thousands of pages, with no typographical errors- it was almost as if anyone made an error they would have their fingers cut off. So they document this horrible situation and reading the documents you get inside their mentality, not who was guilty and who innocent- you never find that out. Some are guilty, some are innocent but you can’t tell which ones because they all claim to be guilty Through the confessions and through the other materials of the prison I thought I penetrated a certain crazy mindset that characterised the Khmer Rouge, and that’s what I wanted to say in the book. I went somewhere that was very sad and depressing, but I needed to express what I encountered. Did you talk to survivors, in researching this book? A couple of survivors, a few guards who had been there. Nowadays it would quite a different book because so many people have come out of the woodwork, and are ready to talk. They weren’t available 15 years ago when I was writing my book, and they were too scared about what might happen. Actually Rithy Panh has made an extraordinary documentary, S-21: The Khmer Rouge Killing Machine, about the prison, it is a brilliant study, bringing together people survived with officials at the prison and guards. The prison itself is really a door into the Khmer Rouge world, which is a very strange world. Not surprisingly there are high incidences of mental health problems generally in Cambodia. How do they deal with this? There have been such terrible traumas that there is not much you can deal with. There are a few Cambodian psychotherapists and they are terribly overworked. They hardly know how to handle many of the extreme traumas. Many people over 50 are in pretty poor shape, from what whacked into them during those years, frankly they will be with this until they die. People just didn’t know what hit them, it was a tsunami situation for the victims. Just to backtrack a little bit. Reading about life in Phnom Penh in the early sixties the picture is of a sleepy Asian paradise. For many it seemed like the least likely country in the region to descend into such chaos and horror. You lived there then, what was your experience? Phnom Penh was certainly a paradise for foreigners. Many things were hard though- there was no educational system to speak of and the judicial system was horrible, there was no question of political opposition to the regime. For the elite and the foreigners it was an ideal place to be, it wasn’t as challenging as Vietnam and not as crowded as Bangkok. But everything is always post-dated, you are always looking with hindsight. I certainly didn’t see what was going to occur when I was there in the early sixties and nor did other friends and colleagues who were working there at the time- we couldn’t foresee anything but once it happened, we didn’t say- oh no, that’s the wrong country. There was a ferocity to the place and to its history that anyone who paid attention to it would have picked up. The French managed to put an anaesthetic mask onto the Cambodians to make them behave, calm them down and shut them up. They told them that they were a country of victims living in a paradise, and it suits people to hear that. Sihanouk encouraged this point of view. But it was the last place you would expect to get so terrifying, Shawcross touches on this in his book. These people were not rebellious, or contentious, there were no intellectuals and no nationalist tradition as in Vietnam. Cambodia was not unlike Thailand in the period, also somnolent, and also under a dictator- Sarit. The Thais pretty much just got on with the status quo. They were very laissez faire, you took what was coming and had the view that whatever happens just happens. It may seem like a strange attitude but that’s how it was. But in Cambodia it was really foreign intervention and the developments in the Cold War that capsized a reasonably stable State. The foreigners were crucial but they weren’t responsible for everything, because there could have been other ways of handling things after the foreigners were driven out. Instead the Khmer Rouge chose absolute violence, which had nothing to do with the foreigners. Cambodians don’t like to face up to this any more than the Thais like to face up to the high levels of murder they have there- they say they are peaceful Buddhists but the murder rate in Thailand is as high as in America. It’s a matter of how you perceive yourself. 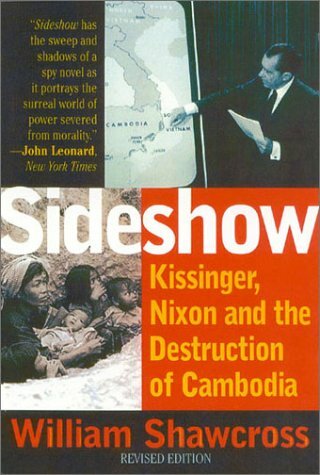 If you want to look further into foreign culpability Sideshow is your recommended read. It’s a wonderful indictment of the tail-end of the Cold War and the madness of the Americans trying to impose their will onto that part of the world- and away they went in a sort of paroxysm of destruction in Cambodia. Shawcross’s book was written in the mid seventies but it stands up extremely well. He also explores the results of the strange combination of American and Chinese agendas that were conceived in that era. Yes, also Nixon’s belief that Cambodia was somehow the key to the problem, it was just completely mad. Cambodia was not the key to anything. It doesn’t have any leverage on any other country. Nixon just poured all this money and guns into this small ill-trained country and wrecked everything. Of course he did postpone it being taken over by the Vietnamese, the invasion of 79 would probably have happened in 75 if the Americans hadn’t unleashed the horrors that they did. 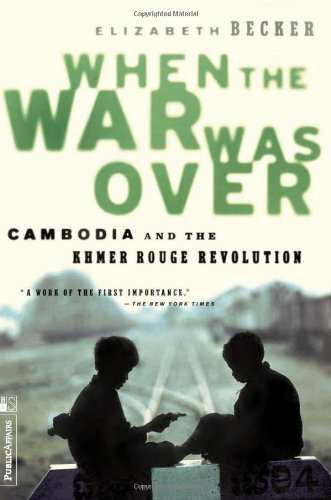 Elizabeth Becker’s When the War was Over, is your best beginner’s book on the Khmer Rouge. What makes it such a rounded work? She manages to tell the dramatic sides, the painful aspects, she builds up a very clear and moving picture. She worked in Cambodia in the early 1970s so she got a feel for the country, she understood what had been damaged and how people were affected. It is a very effective book and I believe that it will stand up to the test of time. I had reservations initially because she wasn’t an insider, and like so many writers she goes into the story through the dark side of the Khmers, the spooky nature of the land and people- in this way foreshadowing Philip Short. I don’t buy into that at all. It’s a small reservation I have, but otherwise this is a wonderful book. I imagine that many writers on Cambodia don’t actually speak Khmer. This was the case for many years, For historians at least, knowing Khmer wouldn’t have helped all that much until you get to the Pol Pot era- and you get oral histories, and the archives at S-21. You can’t do inside research without Khmer. Nowadays there are many writers who are fluent in the language, and many if these have produced some excellent work in the fields of anthropology, history, politics and literature. Some of the scholars belong to the Khmer diaspora. In your History of Cambodia you suggest that it was the “timeless” conservatism of Cambodia that both protected its people under Pol Pot and ultimately helped defeat the Khmer Rouge. How will timeless Cambodia culture fare in the globalised reality? I think the old Cambodia I loved is on the way out, due to modern pressures. It will be sad if Cambodia becomes another globalised mess like other places that have gone that way, but there is no point sitting around talking about nostalgia. The sources of strength they had to resist the various onslaughts they have faced aren’t going to do them much good now, because this change is too big for them, it is too big for all of us. But they’ll survive.